A short-sleeved stripy top that�s an instant summer classic. 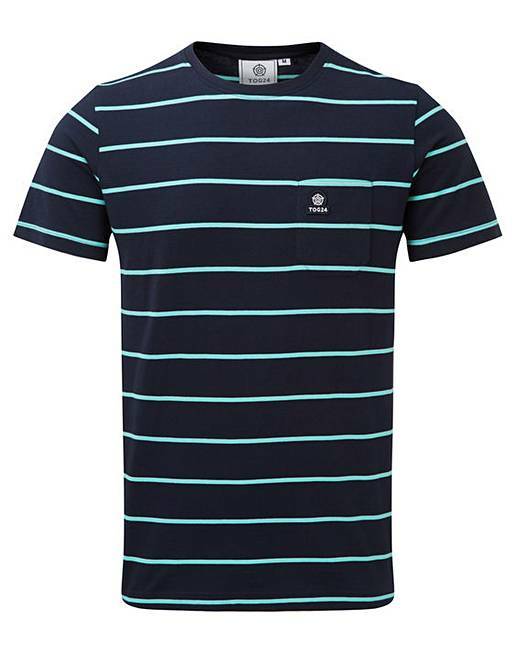 The cotton jacquard T-shirt sports a woven textured stripe and features simple crew-neck styling with a neat patch pocket to the chest. The maritime-inspired blue and white colour combinations make Elliot a holiday essential.